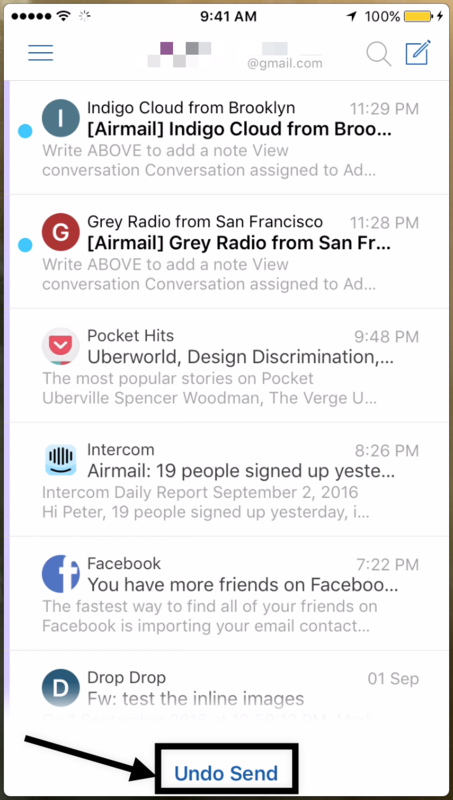 Airmail now introduces a new feature known as &apos;Undo Send&apos;. &apos;Undo Send&apos; allows you to undo sending of a message that you have just sent, by tapping on the &apos;Undo Send&apos; button. 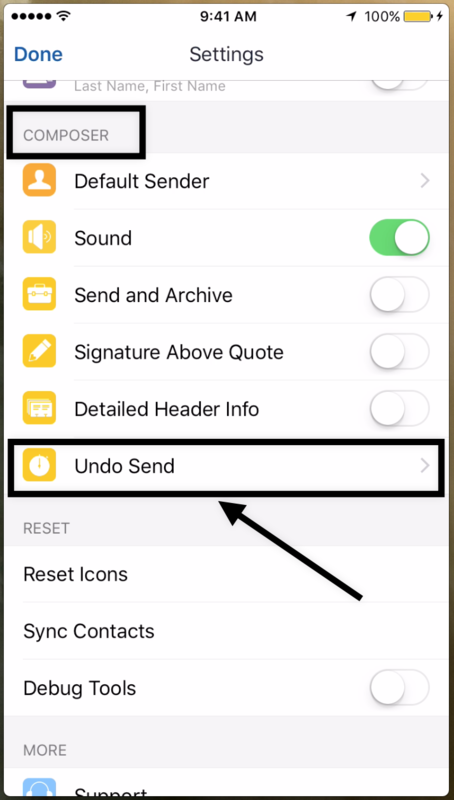 &apos;Undo Send&apos; button is available at the bottom section of the message list.Right after you send a message you can set a particular time period as per your needs before which you can undo the sending of the message. Please refer to the picture below for the location of the &apos;Undo Send&apos; button. 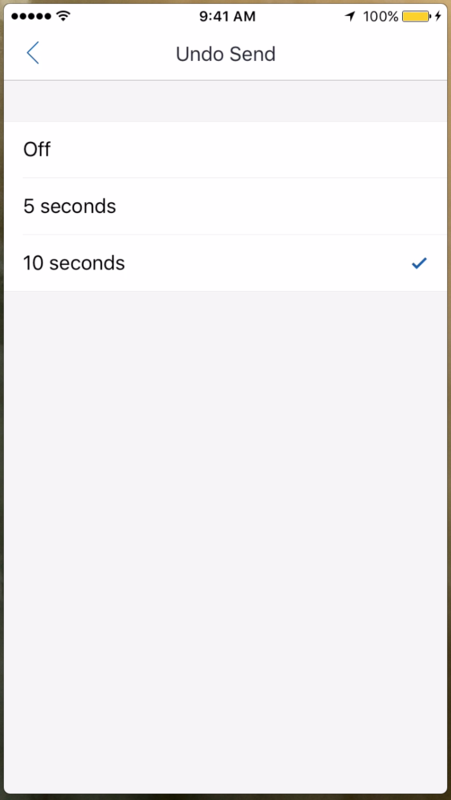 The time period for &apos;Undo Send&apos; button can either be 5 seconds or 10 seconds. 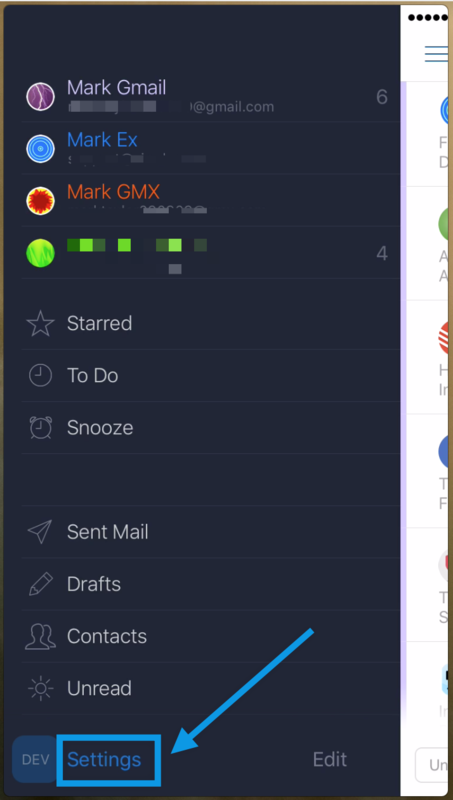 To choose the time, please go to Airmail Settings as shown in the picture below. This will take you to the following screen, where you can choose the desired option.